This is a funny page for me to be writing. I never thought I’d recommended anything to anyone! I was a lawyer, y’know. 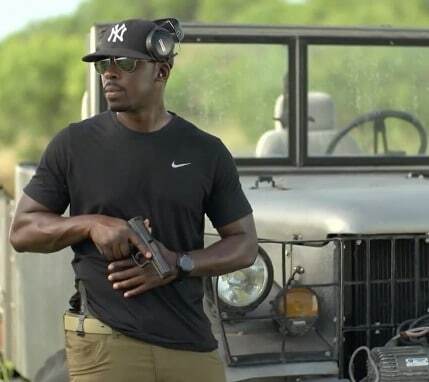 But as I’ve gained experience as a Gun Enthusiast, I’ve encountered some great tools and training opportunities that can really help gun owners earn more in today’s gun culture. My policy: I never recommend a product unless I have personally used it or have thoroughly reviewed it. The books and tools below are all created by mentors and teachers I really trust. I’ve used them, loved them, and they helped me build my business. With everything it takes to be a successful Gun Enthusiast today, you need really useful, affordable tools that make you look professional. I’m frequently asked how I manage my busy career — so now you know what’s behind the curtain. If you conceal carry a Glock or Smith and Wesson M&P there should be no reason you don’t own a Vanguard 2 holster from Raven Concealment. It does a stunning job of being minimal, incredibly versatile, uncomplicated and affordable. I like my pants/jeans to fit a certain way and going up a size just makes me look sloppy. 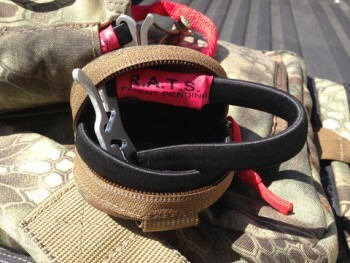 Therefore, I need a very minimal holster if I want to carry my Glock 19 instead of having to drop down to my Glock 26. 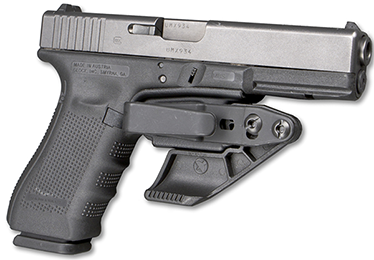 Here’s the thing, you can use one VG2 holster for the Glock 26,19,17,23,22,27,30, etc. The Vanguard 2 is about as close as it gets to simply sticking a gun in your pants (Mexican Carry) without any of the drawbacks of well, merely sticking a gun in your pants. It’s intended for appendix carry, but I usually carry at the 3 O’Clock position (Hip), and it works just fine. I’m not the most brand loyal person on the planet. Brands are only as good as the new brand that’s doing better what the other brand did better than the brand before last. However, I can’t seem to shake my affinity for Surefire lights. 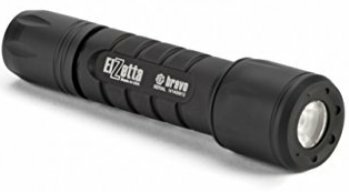 Honestly, most Surefire lights are way more than what most people need (Durability Wise), but I like knowing that I could drop my light into the depths of hell and be surprised if it stops working. 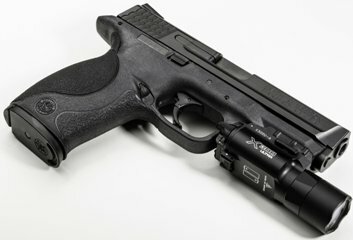 When it comes to mounting lights on my gun, I love the X300, mainly for the ergonomics, versatility, durability, and lumens. I like how you can use your finger to push the tab in for a temporary on, or swipe down for a constant on. The switch is on both sides and is activated by rotating up or down. Some may say that 600 lumens are too much for a defensive light, but I’m a self-describe lumens whore and can never have enough lumens. I’m also incredibly hard on my guns, especially when I review them, and I treat my x300 like an unwanted step child, and it’s still ticking. 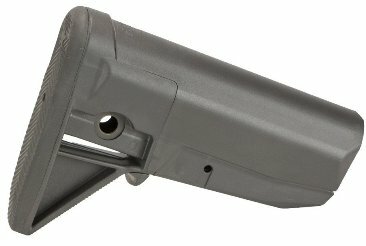 When I first saw the BCM Gunfighter stock online, I thought it was a rather ugly looking stock and grip set. Then I got a test and evaluation rifle from PWS fitted with the BCM Gunfighter stock and grip. Let’s just say that pictures don’t do the grip and stock justice. They look great in person. Then I ran the PWS MK114 Rifle during a Chris Costa 3 day course and fell in love with the stock from a functional perspective. 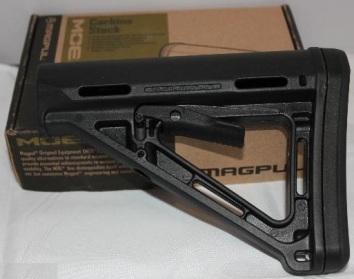 Right now Magpul is dominating the market of stocks and grips. However, Bravo Company is closing that gap significantly. I love Magpul furniture and always will, but dammit, the BCM Gunfighter Stock, and Grip are a good looking piece of kit. 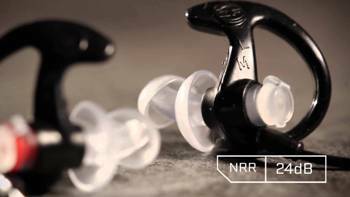 Whenever I’m shooting the rifle, I double up on my ears just because when you put your over the ears on and you come up on the stock as you can see in the video, it breaks that seal between the stock and your earPro. They’re electronic so they run off little hearing aid batteries. Therefore, I can adjust them just by turning up the volume. Then, I can control the type of sounds that I want to magnify and don’t by pushing the button. The formatting suppressed I’ll still run over the ears just because running suppressed while still getting the crack of the bullet at the sonic boom sound that’s still not that great for your ears so I tend to be a little bit sensitive to sound just because I have tinnitus already so I’m like overly protective about protecting my hearing I try to protect as much as possible until I get into the truck and turn on my music and completely forget about the fact that I’m trying to protect my hearing because of music I usually turn up as loud as possible but then again I’m a moron in that sense. I’ve been running this bag for a couple of months now, and it enthralls me. It’s a tactical bag, but I use it more for everyday carry. I love how slim it’s profile is. There’s nothing more annoying than a bag that gets in the way just as much as it helps you transport things. It carries my 12inch MacBook w/ power cord and plug, HK P30 w/ two spare magazines, and iPhone Battery pack perfectly. 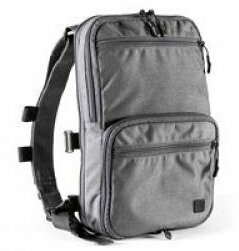 The bag is so discreet and easy to carry that I don’t go anywhere without it. My only regret is that I didn’t get it in the Disruptive Grey.